Charcon Hard Landscaping, a division of Aggregate Industries, has developed and supplied a bespoke concrete block paver for Maidstone Borough Council’s new pedestrianised area on two of the town’s most historic streets. The £3.1 million investment by Maidstone Borough Council to regenerate Week Street and Gabriel’s Hill aims to enhance the town centre for both residents and visitors. The resurfacing works will celebrate the cultural heritage within the town, whilst reinvigorating the look and improve the attractiveness of the streets. Works commenced in April 2018, with Charcon collaborating closely with landscape architects at PRP Landscape to create a unique, blue concrete product that not only matched the Council’s aesthetic requirements, but would stand the test of time. 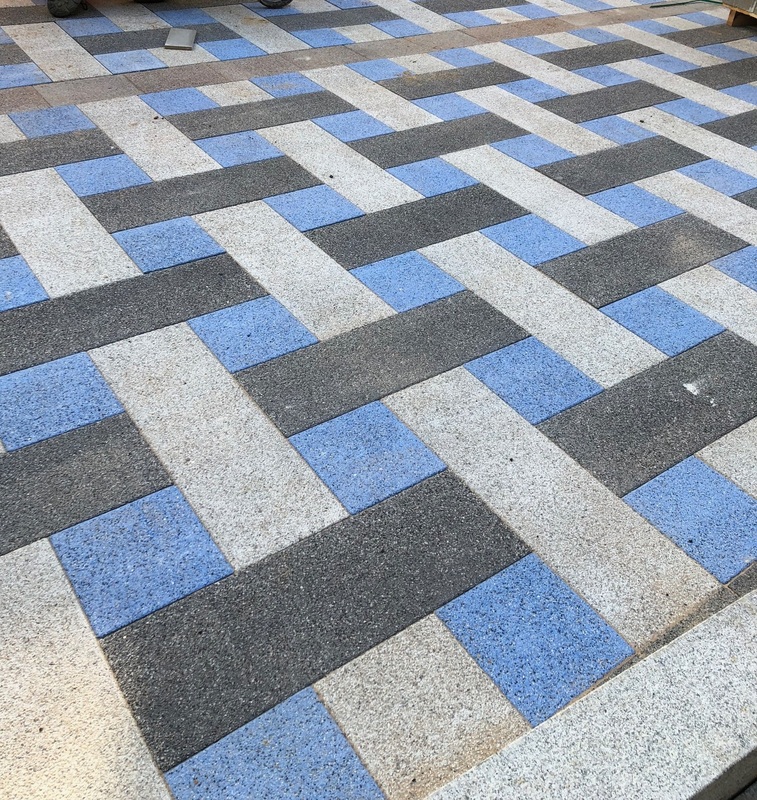 The blue textured Andover block paving features in a basket weave design to creatively reflect the colours uniquely associated to Maidstone Borough Council, whilst being surrounded by grey block pavers to compliment the design. Andover concrete block paving, containing granite aggregates, was selected due to its characteristics of being hard-wearing and robust, ideal for a busy pedestrianised area, with the silver/grey colour offering an aesthetically-pleasing design. It is produced in the UK, using locally sourced materials, and contains up to 50% recycled and reclaimed aggregates. Mark Barter, Sales Director for Charcon, comments: “Maidstone Borough Council initially used granite in a previous phase of the high street, however for this section they needed a product that was cost-effective and easy to install, whilst emulating the aesthetics of natural granite. To ensure we got the right colour for the blue feature, we provided various materials and samples until we found the ideal solution for the project. When complete, the Maidstone High Street project will feature a timeline of the history of Maidstone, alongside the paved weave created by PRP Landscape and Charcon.